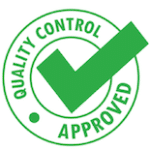 DR Quality Control: What Makes Us the Best! We Take Quality Control To the Next Level! Every single bottle that leaves our facility has a full set of 3rd-party Certificates of Analysis associated with it that is available online for our clients to see. Our testing includes a separate analysis for the cannabinoid profile, potential microbial life, mold, heavy metals, residual solvents, and pesticides/herbicides/insecticides. So, when you consume any of our hemp products you can actually know what’s in it! This is not only an important system to have for the hemp industry, but is a top-notch system for the supplement industry at large. Some of the biggest dietary supplement companies in the world have been put on blast for their products sometimes containing 0% of the labeled ingredients, but we on the other hand continually prove that all our products contain what we claim. Almost every hemp-extract company says it has the best quality products. We’ve all heard it over and over, but how do these companies control, determine and verify that? Public records have shown there are many hemp companies whose products have been tested and were shown to have 0% of the labeled ingredient. Many other cannabis companies are being forced to recall products due to toxic pesticide levels and fungus. You need not be concerned with Deep Relief. Our products are manufactured following Current Good Manufacturing Practices (CGMPs) and Good Documentation Practices (GDPs), and we’ve gone above and beyond to make sure of this.